Arbor Seat and Back | Free Shipping! Price is for seat & back only. Arbors are sold separately. 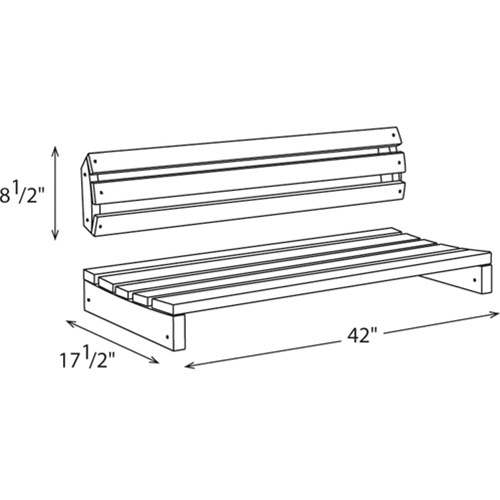 This 42" seat with back is designed to work with our Rosedale and Astoria arbors (sold separately). Adding the seat and back to your arbor will create a lovely seating area in your garden. 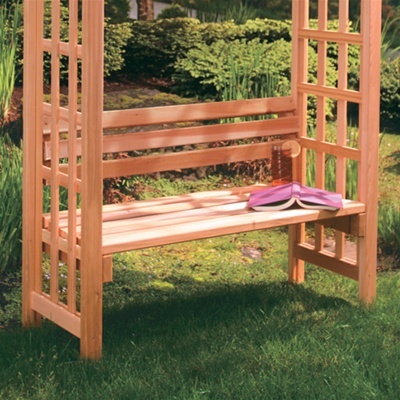 This seat and back are made of 100% premium grade Western Red Cedar, a wood known for its exceptional durability and weatherability. Cedar is a also a naturally pest resistant and decay resistant wood. Shipping carton dimensions: 44" x 19" x 5"